Consumers will be able to switch energy supplier within 24 hours by 2018, under changes being introduced by the Government after a report found power companies were overcharging customers by £1.2 billion a year. In a letter to the Competition and Markets Authority, Energy Secretary Amber Rudd said she was concerned that the retail market for gas and electricity is "not working well for consumers" and said the key to getting bills down was encouraging families to shop around. But Labour accused the Government of failing to take "strong action" to protect households from being ripped off. 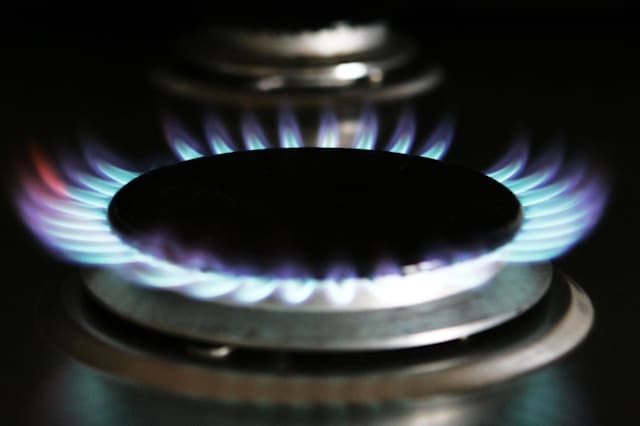 In a report last month, the CMA made provisional findings that the main energy suppliers - British Gas, SSE, EDF Energy, RWE npower, E.ON and Scottish Power - were overcharging customers by around 5%, or £40 a household. It said competition in wholesale markets was working well, but there was "widespread consumer disengagement" from the process of switching supplier, with most remaining on standard variable rates despite better deals being available. The CMA said it was considering setting a maximum price limit for standard variable rate tariffs, which could see prices cut or frozen for around 70% of customers with the big six providers. Over 34% of people the authority surveyed said they had never considered switching supplier. Energy minister Lord Bourne said the Government was taking action to put power into bill-payers' hands, including by cutting the time it takes to switch from about a fortnight to a single day. By 2020, smart meters will end the use of estimated bills and enable bill-payers to compare deals more easily, he said. He said the Government was ready to look into the CMA's proposal for a "safeguarding tariff" to protect those unable to switch. In her letter, Ms Rudd described such a move as "a potentially significant transitional intervention to protect consumers until other remedies lead to the market operating more effectively" but warned it was important to design any such measure "so that it delivers protection to those currently on poor value standard variable tariffs, yet does not disincentivise switching". Lord Bourne said: "Our number one priority is to keep bills down for hard-working families and businesses across the country. "The CMA has rightly identified that one of the biggest concerns is people not shopping around to get the best tariff. We know this is the key to people getting a better deal on their energy bills and are already working on measures to improve this. "Whilst we wait for the official findings of the report, due later this year, we will continue to promote competition in Britain's energy market because competition helps drive down prices and push energy companies to keep bills as low as possible. We will also look into the CMA's proposed solution of a safeguarding tariff which has the potential to protect those consumers who do not, or cannot switch." Shadow energy secretary Caroline Flint said: "Amber Rudd's response to the Competition and Markets Authority's provisional findings shows that the Government is still not committed to taking strong action to protect households being ripped off on their energy bills. "That report revealed the fact that the Big Six energy companies have been overcharging households by more than £1 billion a year. Wholesale prices are at a five-year low, and there needs to be a regulator with the power to force companies to cut prices, and changes to increase transparency and competition in the market."